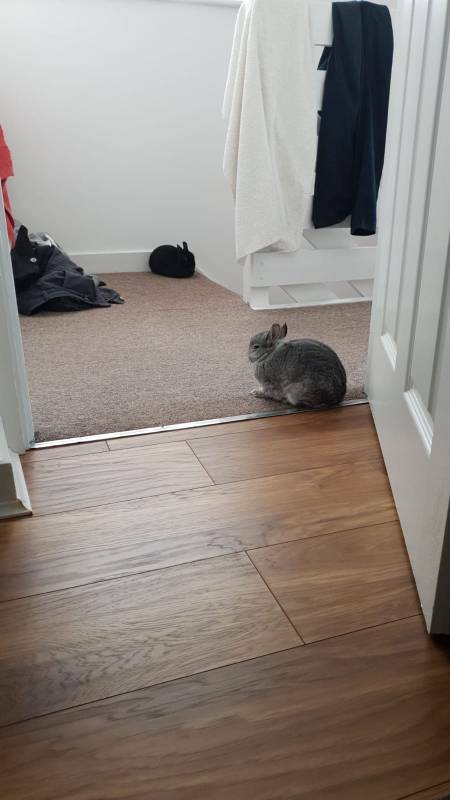 Thread: Anyone elses buns sleep in weird places? 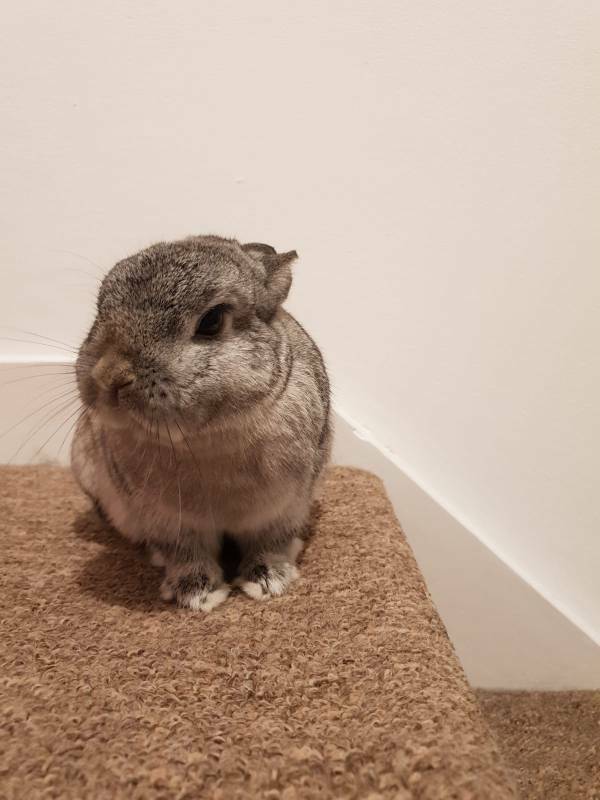 Archie aka Lord Booblington. Likes to snooze in the doorway of my OHs man cave. He gets quite upset and chews the door if Daddy tries to shut it. Haha. He only sleeps there if Daddy is inside! What does it mean? It's a very open space at the top of the stairs, so not exactly snuggly. If they'd aren't sleeping in doorways it's the top of the stairs precariously on the edge!!!! 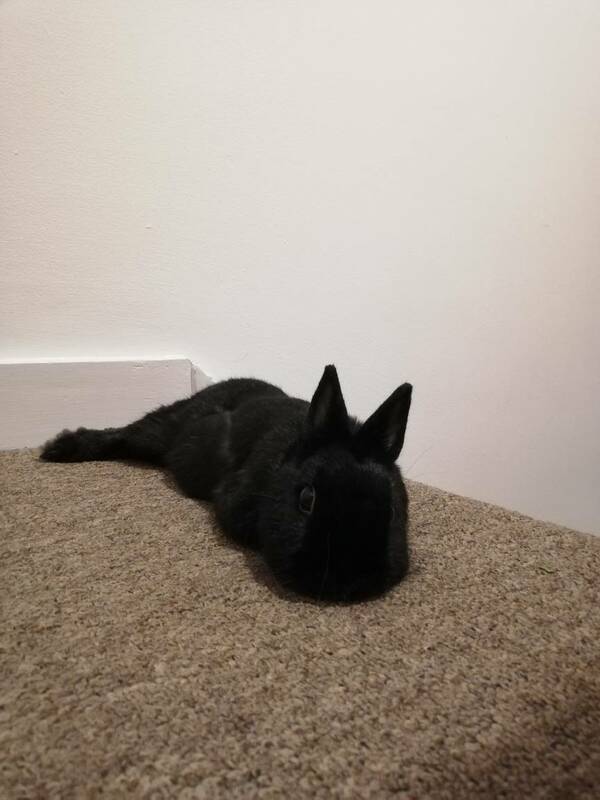 See, I don't understand why as they are supposed to live under ground but ... All my bun is love being as high as possible so I reckons that why she is by the stairs. I would love to get inside their floofy minds! Yep. We often call them mountain buns. The higher the better. They're both up there now watching their mummy on the sofa. Already got treats out if me today. Ooh that would be a great job! Like to survey all of their kingdom..and their servants. Well, I think loobers is spot on here. 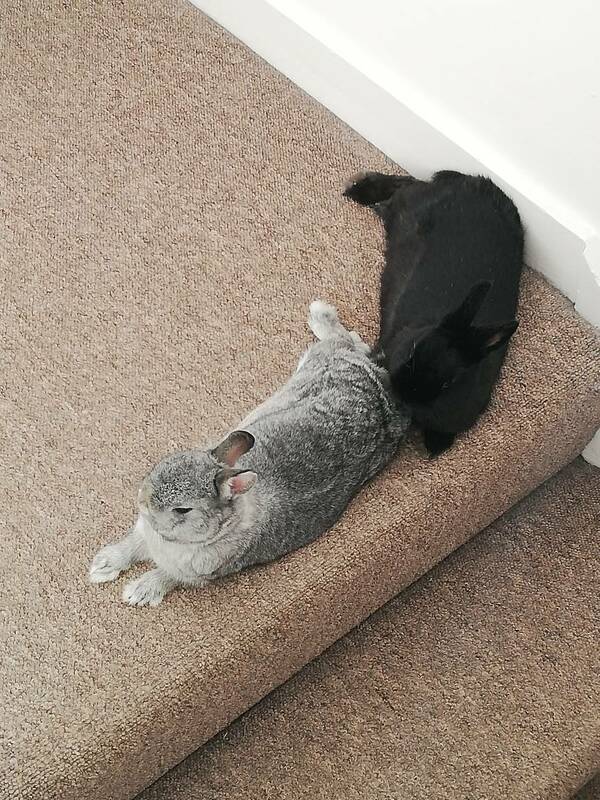 If you look at their position, they are both comfy at the top of the stairs. They can't go higher do they know they have the high ground. They can see down and have worked out that this is their vulnerable area so top rules. And positioning themselves as they have, they can watch all rooms and pick and chose. They are deeply intelligent. And adorable. And you have a beautifully clean house. Hillian lie under the dining room table when they are in the room with us. Henry will sit out in the open room watching the living room door cause he knows that's route 1 to the stairs. He's not allowed up them til the vet says so! And they sleep in a big box I got from work. I put some carpet in it and Lillian 'made' the doors and windows. As long as they are happy, then that's all I can do.